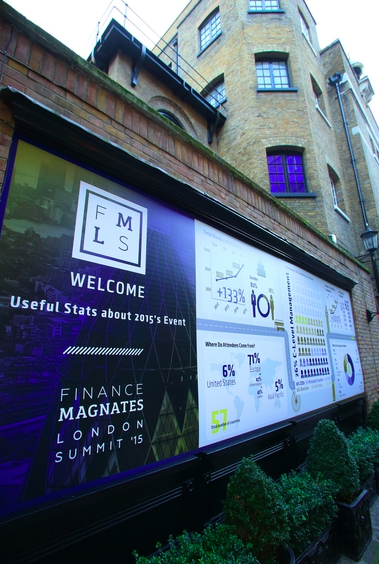 I recently had the opportunity to attend the Finance Magnates London Conference (FMLC). 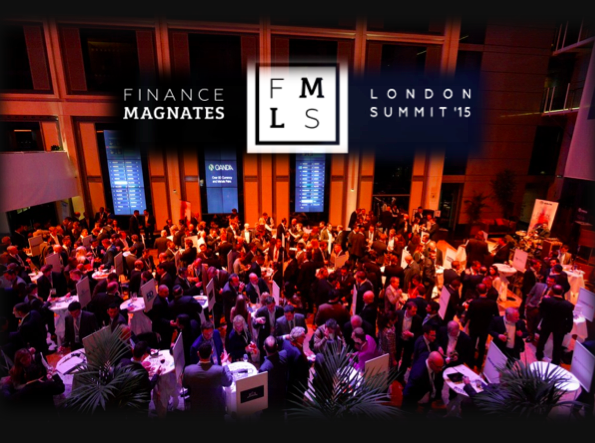 This is a renaming of the former Forex Magnates London Conference (‘FMLC’) which changed front name to reflect the greater diversity the Forex diaspora had produced. It is a great event with many international participants in the FX market and with a chance to meet, listen & learn about current and future political, economic, technical & financial situations affecting specifically the FX market. FMLC has stayed true to the Forex market but has also added Fintech companies, card payment operations, public relations & even a guest spot for a Facebook presentation on trading & marketing related matters. So…these are my personal recollections and I hope in the following segments to give you a taste of the event through my eyes – a feeling as if you were there yourself. THE FX RIGGING SCANDAL A YEAR AFTER: LESSON LEARNED? The opening panel session was a timely & fundamental one. It was chaired by Adil Siddiqui of FMLC along with Stephen Leahy – COO of FXPrimus, Peggy Reed – SVP at Ayondo, David Woolcock of ACI-UK & Gil Nelhous – CEO of Fluent Trade Technologies. Adil asked the panel the simple question – what happened? David answered that it was a Sunday lunchtime when he first got a call that groups of traders had manipulated the FX market. First reaction was confusion! Next he organised a press release on front running, collusion and the Model Code. The crisis grew…investigations started. Since then the Bank of England (BOE) review has been set up with BIS involvement. The market is moving to a single Model Code base which will likely be out in May 2016 for discussion and finalised most likely in May 2017. Stephen said it was ‘…easy to grab headlines in the media…’ and Peggy added that the BOE had heard of this as early as 2007 – 2008 but had ‘…decided to sleep on it.’. Adil next asked how negative was this all to the FX market? David responded that the origins of the Model Code go back to the 1960’s & 1970’s when the market was structured differently. As technology developed you saw dealing rooms change. ‘…industry took its eye off the ball on practises and education…’ and cautioned to look at your (the wholesale traders) actions through the eyes of your customer. Peggy added that over her thirty years in the markets she had seen a fall in how front office staff used to come through from the back office & were taught there how to take care of customers. Then ‘…you had to police yourself…’. Now…this scandal has shaken up the market. Gil pointed out that budgets at banks had been spent on trading systems – not on risk systems – and those that had been were related to execution. He saw less human involvement in the future and all will benefit from the ongoing changes – ‘…regulatory reforms are ‘gold’ and will benefit all the market.’. Adil then followed up by asking if new technology had actually helped in the rigging, for example – chatrooms? Peggy said incredulously that it made no sense to think you could get away with it! There were accusations now on algo traders as well as front runners. It was all about personal integrity. David brought up something close to my heart – the use of Last Look! He found it amazing how much not only banks but also customers liked it. However, the banks were not ‘symmetrical’ with money making trades. These being kept by banks but losing trades being passed on to customers. Liquidity was incorrectly badged and one ought to regard it as ‘…an offer to treat or just indicative…’. Banks and other liquidity providers must be transparent as to the type of liquidity they provide. However, Stephen pointed out that a move to No Last Look is in his eyes a move to an exchange environment. Doesn’t this limit relationships? David responded that it does but then look at the wholesale market – EBS is an order book system! Relationships matter – take a look at the SNB back in January. Which, to amused laughter from everyone Peggy commented ‘I don’t think FXCM would agree’. She continued that each should be careful how liquidity is ‘…throttled…’. It all started once you had algo traders in the market…then you started Last Look. Following the ‘rigging’ there had been ‘…more appreciation of the Retail space…’ and ‘…retail become more transparent…’. 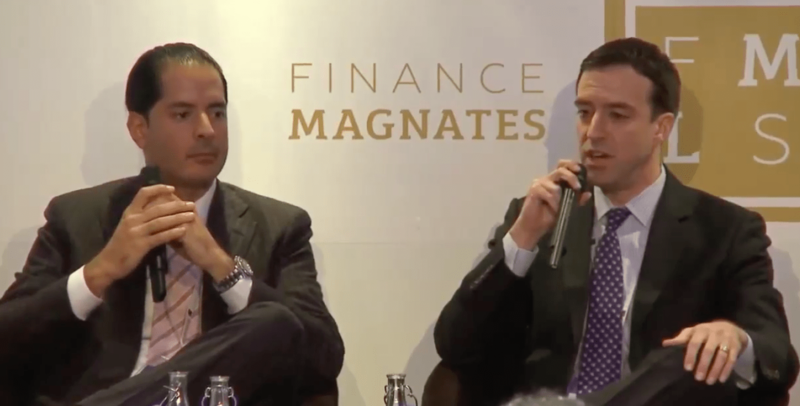 David added that following the SNB, Retail has improved its wholesale relationships but there were issues about the charging of fees. The buy side also wish to trade at the mid-price in all markets – do it or lose the business. Additionally, the SNB situation highlighted some practises – such as guaranteed stop losses – which Retail had not priced in properly as an order type. Gil added that a common technology could reduce risks. On Last Look – he saw banks looking to reduce such risks, they were now spending more money on risk than execution. Peggy added that for many years the clients had been more sophisticated than the banks. Adil asked David – how can the Model Code link with developing technology? David said it would be updated and would continue to be updated. There was a calling for one global code and the unintended consequence would be self-regulation which may move to an exchange model. Central Banks (CBs) want self-regulation as they need to use FX markets as a tool of monetary policy. A Global Code would lead to two things – a) better standards in the whole world and b) more investment in education and certification. Replicate, for example, what is being done with doctors and lawyers. Stephen pointed out the use of surveillance tools – all data! For now it is just stored but some are starting to use and work with it as data. Gil added he saw the need to educate people how to write algos. You would need software that works for you. Peggy said how originally it was Custodians who had started the complaints. They didn’t have the technology – it was traders in chatrooms …talking… on how they made money – that was what had happened. David spoke more on Asset Managers – they had to have proof of best liquidity but gave the example of an Asset Manager who sold EUR 600mm in EURGBP in 60 seconds and was surprised that he, as a custodian, was the trade at the bottom of the V of the market move. Many didn’t realise that ‘the Fix is the Fix’. Too many Managers have a mandate to only deal on the Fix. Initiatives are now coming through for alternative execution strategies. Next on his agenda is – MiFID 2 – having to report anomalies, the difference between ‘black’ and ‘white’ boxes. He gave an example of trying to explain to the BaFin (German Financial Regulator) how a ‘black box’ worked. The problem was that even with the specifications the BaFin wouldn’t know how it works…However, they could always check with people. Stephen – to wry amusement from the audience said ‘…Regulators are great at what you did eight months ago.’. Gil added (somewhat controversially I think) that ‘…FX was the first market to be traded electronically…’ and it was ‘…key for the market to be adopting a new code.’. New standards and tools save Regulators from delving into ‘boxes’. There were the questions from the audience for the panel. The first somewhat rhetorical one was – The 1980s & 1990s were not a clean period as intimated? Peggy agreed! David remembered the Wooden Nickel operations, the abuses of the ‘points’ system and adding markets had to be transparent. Adil asked if there were breaches in that era? David replied Yes! Brokers would tell what a CB was doing. Peggy reminisced how she couldn’t tell anyone what she was doing – even her own family. It was personal ethics. Gill added that the changes were very similar to those in the futures markets – FX was going that way. Peggy continued that Retail needed good technology to carry on. All of it didn’t work but they will keep trying to make it work. Next question came from the audience & was on banks usage of Last Look – what percentage were using it? David continued on his theme on how he was originally surprised at the asymmetry but he now would be very surprised if any bank is still asymmetric. However, some were still showing Last Look as firm. He reiterated how surprised he was at how many buy side firms wanted it. The next question was complex and in various parts. Many staff at Regulators later leave to join HFT firms. What is stopping them from sharing the information gained at the Regulator with the HFT and a) is this problematic for an exchange traded model and b) Black Box operators decisions in sharing their proprietary information with Regulators. David emphatically said that only a Regulator – not a non-Regulator – would see such information. Stephen pointed out that no-one wants to share code. David continued by stating that they (ACI-UK) do not cover it as it is regulation…not practise. Additionally, how can you say it is an exchange? We have exchange like systems but we are not a single market. Gill opined that he didn’t think the Regulators had the capability to analyse. Stephen pointed out that the Retail market was seen as very lopsided versus the traders for a long time but things have improved ‘…Retail FX has become more fair…’. He continued that Retail has become competitive enough that bad practises won’t last. Peggy added that you need to understand how risk is handled at brokers. Then you can see if they front run. David was optimistic – there was increases in market and volumes. There was a renewed focus on a better market. Still, there were lots of scandals in Retail FX – there is a need for a central body for the Retail FX market – like the wholesale market. Peggy abruptly pointed out – look at the NFA – that didn’t work. However, David responded that he was not looking for a market regulator. 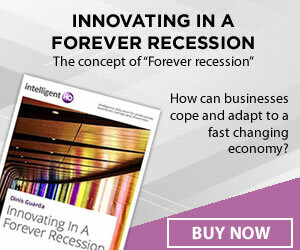 For independent banks, brokers & Retail FX the way to ‘…predict the future is to be the future.’. He was not looking for explosive growth but for platforms to become more transparent. Gil quipped that technology answers some of the challenges. However, the seminar was cancelled at very short notice due to unforeseen circumstances. Nevertheless, I would have very much liked to have seen it. This seminar was conducted by Dinis Guarda – CEO of ZTUDIUM and he made the following points. He started by covering Marketing & Social Media. Trading was shifting a lot as it became more sophisticated and self-directed. Social media was not ‘gold’ for FX. The next thing to see will be the Fintech revolution. EVERYONE is a publisher! Brand, media, startup, data, innovating company = the individual. This is one principle. Big companies have cash flow and data. We all need to think digitally, both traders & investors in the industry – all is becoming more sophisticated. In both the new & the old worlds – the client is first. 3) Brand content. Social media is ROA – Return On Attention. 4) Infrastructure, analytics & data. 5) Lead generation – measures! 7) Be prepared for continuous disruption. Example – Google creates communities and then supports them. Define, segmentation, content, efficient & measured. Data is the most important thing. Apple has the most loyal clients because they nurture their community. They know their community & not just the numbers but the relationships. FX, CFD, Spread Betters have different ways to look at things. The community has a ‘long tail’ like a dinosaur – big at the top & small at the bottom but still powerful. The target is aspirational investors, premium clients require different treatment. Our industry is one of the most expensive markets in the world – Google loves us! India as an example – there is a market of 200mm people currently. In ten years it will be 500 – 700mm. Your next message out there – relevance to the audience. Need to know & have a system plus be sophisticated. Before spending money – what is your message? You need to find out what you potential customers are talking about. All countries are different. You need to still be thinking of this when you are up & running. The Power of the Trader – who is happy and more importantly – who is unhappy with you is HUGE – look at Edward Snowdon! If you have no good website or app – your customer goes elsewhere. Apple – a closed platform. Facebook – a closed platform. Google – opened…so far! Things moved over to Google. Measure inputs, outputs, out-takes & outcomes. CRM should cover conversations, transactions & enterprise. Question from the audience – what was your highest converting channel. Dinas answered – Google but it can also do the most damage. Facebook is getting better. This was the first time Facebook attended and gave a talk. The speaker was Jason Waters, Client Solutions Manager for Facebook and he made the following points. Instagram! Search to discovery and the rise of ‘feeds’. Content created (one billion websites as of now) is higher than our ability to consume – we cope by ‘curating’. What are your tactics? Personalisation – what is relevant to me. Advice – make more relevant content. Pivot and move fast. Example – markets.com targeted all Arsenal fans on Instagram. Measurement systems are evolving. 60% of people use two devices per day. 25% use three devices per day. ‘Cookies’ overstate reach & understate frequency. Solution is people based measurement across platforms with accuracy & actionability. AI – intriguing. Working in the next generation. internet.org – connecting everyone to everything. The final panel session I attended was Chaired by Ron Finberg – FMLC with James Watson – MD of ADS Securities, Cyril Tabet – CEO of JFD Group, Brandon Mulvihill – Global Head Inst. Sales of FXCM, Joe Conlon – Global Head of FX Sales at INTL FCStone Markets LLC & Christian Lund Hammer – Head of Platforms of Saxo Bank. Ron started by asking – contraction in FXPBs, what are the (their) benefits? Christian answered that it was because Tier One banks have dropped out. The advantage is the consolidation of back office & the efficient use of capital by the banks. James confirmed it was because of the efficient use of capital. Joe said it indirectly affected Retail Customers. He saw enormous growth in Prime-Of-Prime (PoP) as many FXPBs have pulled back. Brandon also agreed it was about the efficient use of capital at the banks & added that Tier One FXPBs had vastly under-priced customers based on the income they expected to receive from the FX market compared to the equity markets. Ron next asked what was needed to make efficient for the addition of CFDs to Retail offerings? Cyril replied that it was different – FX was standardised in sizes, CFD sizes were fragmented. Banks were interested in FX flows – opposite to Institutional. In CFDs there was no ‘rebalancing’. However, platforms were getting there. Ron followed up by asking what problems occurred with CFD brokers? James answered that CFDs were an important source of liquidity. Illiquid stocks though were an issue. An example of lower risk was the recent record Ferrari IPO. Brokers have got to build price latency onto their trading. Christian added that CFDs worked hand in hand with the underlying but that Corporate Actions require a lot of work. Brandon followed up by noting that the largest CFD broker trades two million tickets a month. However, FXCM trades 550,000 FX tickets in a day. They had their first trade in CFDs but the rest was FX. Additionally, there was no Prime Broker in the CFD Index space. Joe pointed out that CFD brokers ALWAYS had a position as they didn’t have a ‘round’ amount to hedge versus futures. Nest question was on providers. Cyril said that it was important to limit yourself to the risk to each broker. Important with multiple LPs but you need to make interesting to the Providers. Joe added that this can leave you with the issue of long at one broker and short at another. Ron then went onto distribution rights on data as exchanges are pursuing brokers who do not pay. Brandon stated simply that if you are taking a derived price and then altering it – at some point the exchange will come after you – and data was not that expensive. James, to amusement from the audience said ‘…whatever you said.. I rubber stamp it!’. The question was then raised on the overall trends in CFDs? Cyril said indices were the most traded. He’d seen more volume in August & Sept in CFDs than in FX. Regionally – South Africa for example – individual stock CFDs were more prevalent that stock index CFDs. The big question was how many CFDs you can integrate into your systems. Brandon noted a move from stocks to ETFs. His focus was on the commonly traded – indices & FX. Joe pointed out that INTL FCStone did not quote CFDs as they were a U.S. company and CFDs were illegal in the U.S. However, he did see the crossover into FX, futures & stocks. Christian stated that for Saxo it was Equities including stocks, CFDs & options that accounted for 50% of their business versus FX. James brought it back by saying …but this a multi asset panel…If the customer has the right product then they will come. He added that it didn’t matter how a customer comes by…by FX, CFD or futures. Ron next asked if Retail customers needed extra support? James responded – depends! You need a product specialist – a separate FX Team and a CFD Team. Christian pointed out you need massive ‘plumbing’ in IT and a build-up in the Back Office to which James interjected – don’t forget Compliance & Regulation. Cyril just added that it was important to equip the client with research & trading tools. Brandon brought up clearing – if you’re offering a clearing service you need to offer multiple hubs. It was key to note the distinction between ‘execution’ and ‘clearing’. Ron asked Joe what (INTL FCStone) was trading to which he replied – mainly FX but what he really wanted to do was NDFs & options. He noted that many offering PoP were not actually offering PoP but just reselling liquidity. He noted there was a whole lot of people leaving the Prime space. Next question came in from the audience – did they see new banks entering the FXPB space? Brandon said he would be surprised. The return on capital is increasing for FX and (controversially) he would be ‘…not be surprised if the whole FXPB market goes away…at least to the Tier Two banks’. James added that the use of netting across assets and with credit lines can only be done with a large bank balance sheets. Joe discounted the idea for smaller banks to enter the FXPB market – it was too expensive. A question was asked on the number of customers who started on stocks and then later went onto CFDs? Christian said the normal journey for a client was to start in stocks and then move to CFDs. He saw a strong trend to use stocks or bonds as collateral. The next question from the audience was whether there was any trend in physical precious metals – including delivery – from brokers? Joe answered that transportation, warehousing, delivery procedures were very credit based and not one for CFD customers. James said he did that in the M.East, Turkey, India & H.K. – it was not simple to do and takes a while to get it right – his list of clients in this was shorter. Joe said it looks like a high margin business on the surface but with extra delivery costs involved it is all greatly eaten away. The penultimate question from the audience was how worthwhile was it having a structure supporting 50,000 or more instruments? James said it was the nature of the business to have to so many. Christian added that CFDs were not FX. Locals (around the world) will trade local (markets). Cyril pointed out the need to understand the clients’ needs. It makes sense to offer this…plus some service & now including a regulatory umbrella. 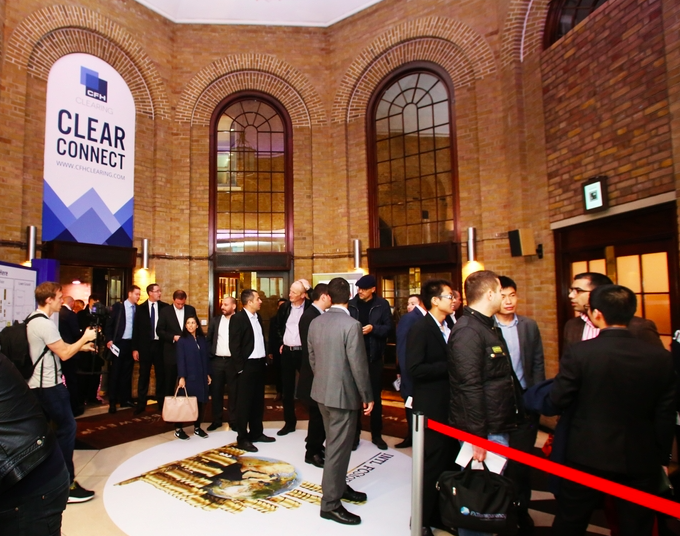 The final question was a simple – is this the end of the single asset broker? Christian said that they’d made that decision many years ago. Joe added that if you just had one product then you suffered – markets were cyclical and you may lose huge opportunities – come for the Forex and stay for the CFDs & futures. Brandon noted that it was complicated…difficult to replicate the Saxo experience. Cyril just said it was very important to have multi assets – from the point of marketing and super important from the point of view of risk – e.g. the SNBomb… at which point a mild argument broke out between Cyril & Brandon (with laughter from the audience)… Brandon as you can imagine is a bit sensitive over the whole SNBomb event. James finished up by saying – do what you do, but do it well! It has to eventually be multi asset but each at their own pace.